The bragging rights for harbouring the world’s biggest indoor ski resort will remain with China for some time. The largest is the 869,000-square-foot Harbin Wanda Indoor Ski and Winter Sports Resort in Harbin in the north east of China, which opened last year. 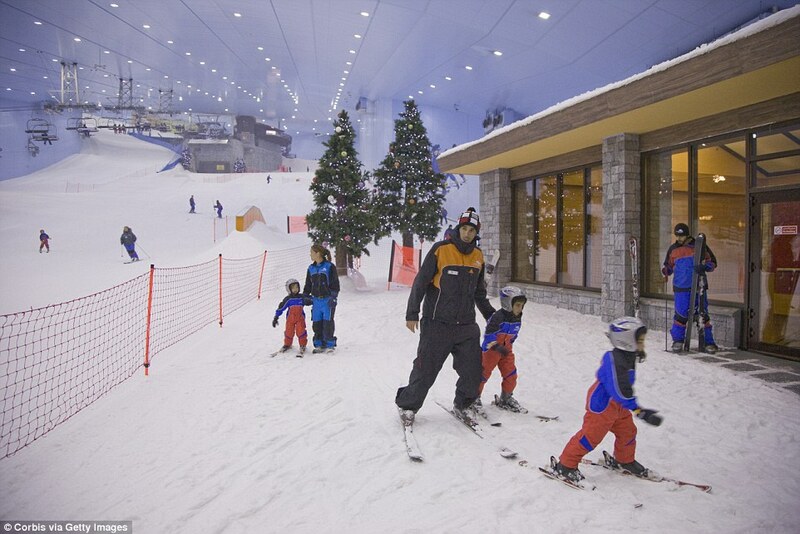 Dubai’s ski park is currently the world’s second-biggest indoor ski resort. But a new attraction in Beijing opening in 2022 will leap-frog them both to the top of the rankings, coming in at roughly three times the size of the Dubai attraction. 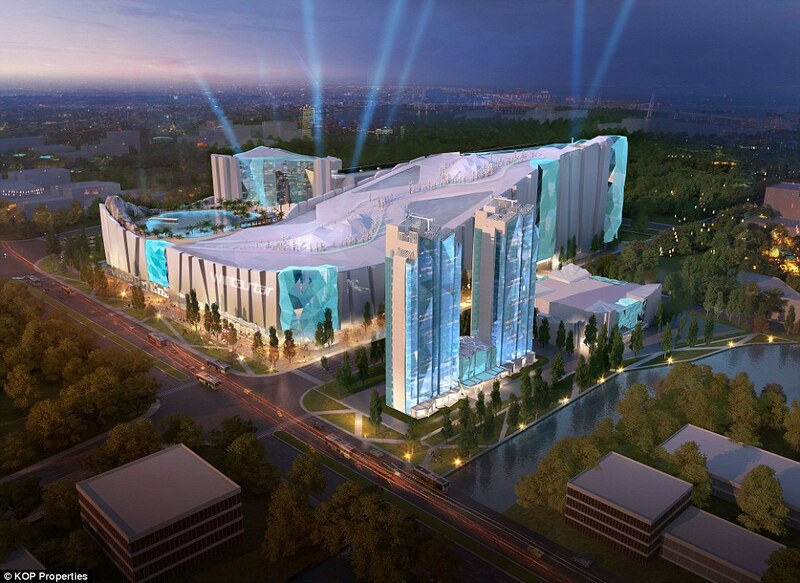 It’s called Wintastar Shanghai and will include hotels, restaurants, 25 ‘snow play’ attractions for non-skiers and three indoor ski slopes – with one being good enough for Olympic training. They will be housed inside a one-million-square-foot building that will be located just minutes from the new Disney park in the city. The project is being managed by Dubai-based company Majid Al Futtaim, which opened the first indoor ski attraction in the Middle East in the Mall of the Emirates in Dubai. It will be built in partnership with Singapore’s SGX Catalist-listed real estate and hospitality firm KOP Limited. Ahmed Galal Ismail, chief executive officer at Majid Al Futtaim – Ventures, said: ‘We are delighted to work with KOP Limited and provide our expertise in developing what will be one of the greatest indoor snow entertainment facilities in the world. ‘This partnership underscores Majid Al Futtaim’s extensive knowledge and experience in designing, developing and operating indoor snow entertainment facilities that speak to changing customer and lifestyle preferences. There is no opening date for the ski resort but it is hoped it will be in operation by 2022 when Beijing will host the Winter Olympics. The Chinese city will become the first to host both the summer and winter games. Meanwhile Majid Al Futtaim is also developing snow parks in Oman as well as in Abu Dhabi’s new Reem Mall.